The coflex® Interlaminar Stabilization™ procedure is a relatively new alternative to lumbar fusion surgery that can lead to faster recovery and more satisfactory results for some patients with spinal stenosis. In this procedure, after the surgeon has removed any cartilage, bone, or disc material that may be pressing on a nerve and causing pain, the titanium metal coflex device is placed on the laminar bone, which is the strongest part of the spine in your lower back. 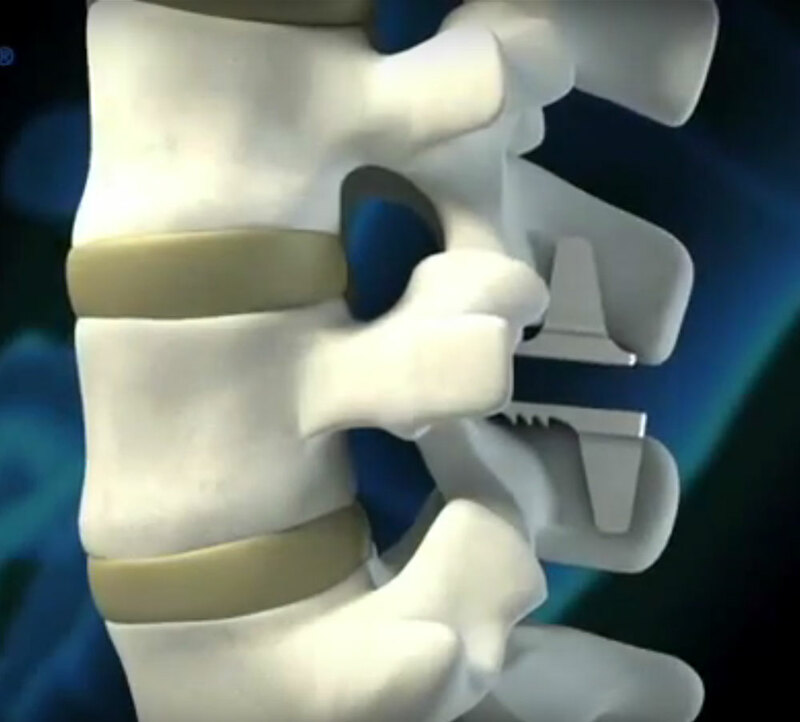 The device is strong and flexible enough to support the spine without the bones needing to be fused together. The coflex procedure has several advantages over traditional lumbar fusion surgery. In a clinical study comparing fusion patients with those receiving the coflex devices, researchers found that the coflex patients had shorter surgery times, faster and more lasting relief of their symptoms, and more natural movement two years after the procedure.